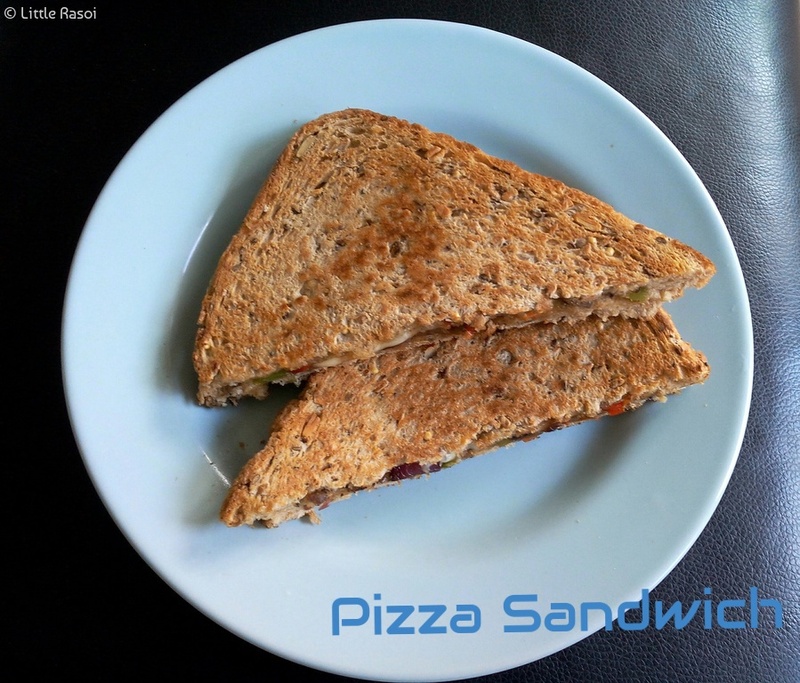 This sandwich is like a little pizza between two slices of bread. I had three different colored bell peppers and some cheddar cheese in my fridge . The immediate thought that striked me was PIZZA. I wanted to have a pizza without having to bake it. I wasn’t in a mood to eat rice or chapati for lunch. So I made a pizza sandwich. Though I haven’t added the amount of cheese it needed but if your making it for your kid, you can add lots of cheese. 1. Heat 1/2 tablespoon oil in a pan, add onions fry till brown in color, add the three bell peppers, saute for 3 minutes. Now add garam masala, pepper powder, salt, dried herbs, fry till the capsicums turn crispy on medium high flame for 2 minutes. Keep aside. 2. Heat a toaster/griddle, add 1 teaspoon butter, place a bread slice on it, spread 1 tablespoon ketchup over the bread slice, then add lots of cheese, now spread the prepared masala mixture over the cheese. 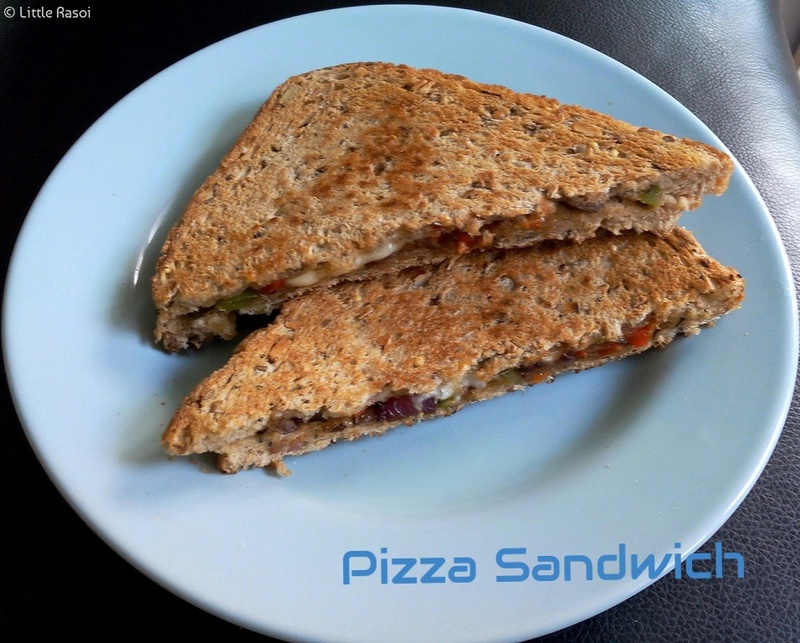 Close the sandwich with other bread slice, drizzle 1 teaspoon butter on it. 3. Repeat with the other two slices and toast the sandwiches golden brown in color.